There are numerous families in the UK with disabled children, needing to adapt their homes to meet the child’s care and health requirements. Whilst council grants may be available, in many cases these don’t fulfil the needs and additional funds, often quite substantial, are required for the building project. 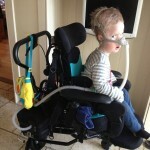 Sullivan’s Heroes offers fundraising support specifically for these vital home adaptations. The charity raises funds to provide a fundraising platform and financial grants to help these families striving to create the optimal environment to continue to care for their child at home, safely and with dignity. 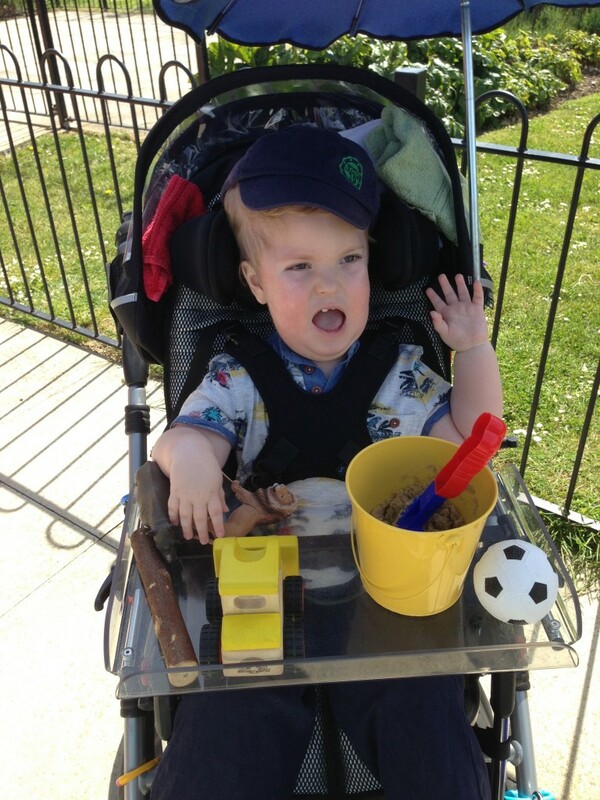 The idea of forming Sullivan’s Heroes came about during the course of 2014 whilst raising funds to adapt our house for our disabled son Sullivan’s needs. We were granted a Disabled Facilities Grant (DFG) from the local Council towards the cost of the adaptations, but the layout of our house required extensive additional work to meet Sullivan’s requirements, with the overall cost way in excess of that provided by the DFG. Having carried out extensive research on the internet, and found no specific charities to turn to for funding towards home adaptations, we set about our own fundraising. In the course of 2014 a fantastic 90% of our target was raised, with further fundraising events planned to meet the remainder – by friends, family, our local community and sometimes complete strangers! – all now affectionately known as ‘Sullivan’s Heroes’. The response and support we received was both overwhelming and heartwarming. Tragically, just after his 3rd birthday, Sullivan passed away in January 2015, as a result of his condition. It was right at the end of the building project, just before we were due to move back home. Sullivan never got to test out his fantastic new facilities which would make his (and our) lives so much better, but he was only too aware of all the people who had joined together to make his ‘new house’ as he called it. Sullivan’s Heroes was already in the process of being formed, to fundraise to support other families in a similar situation as we had been, and to help those families carry out their own fundraising towards their child’s needs – each one of them also classifying as one of ‘Sullivan’s Heroes’, for the obstacles they tirelessly endure and overcome each and every day. 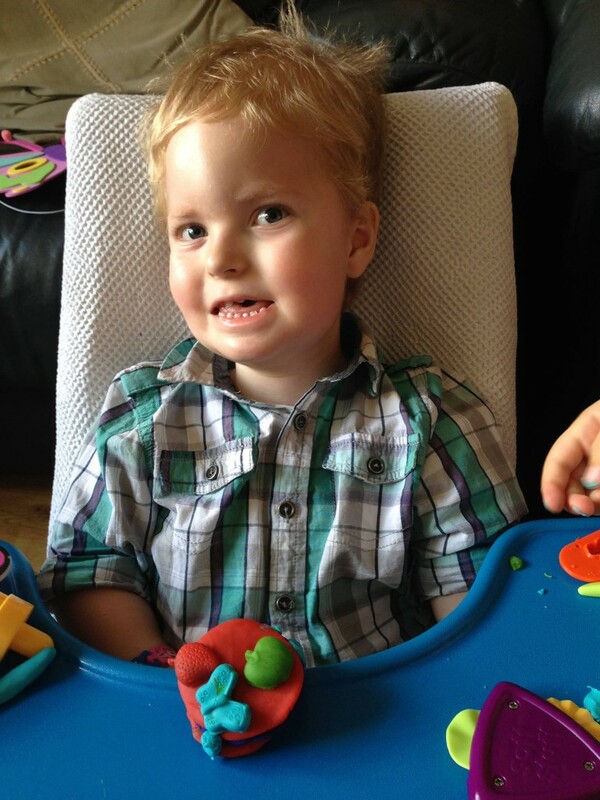 We have vowed to drive the charity onwards in Sullivan’s name and memory, as a lasting legacy to our inspiring and truly amazing little boy. We would like to thank everyone who has supported us as a family throughout ours and Sullivan’s journey, and to all those who continue to support Sullivan’s Heroes ongoing – it means a huge amount to us and all the families you are helping. Our son Sullivan was born in December 2011 and totally unexpectedly he had immediate trouble with breathing and was completely ‘floppy’, able only to move his fingers. 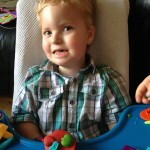 After numerous tests and investigations he was diagnosed with an extremely rare form of muscle myopathy, called Congenital Fibre Type Disproportion. There are only around 200 cases of this condition ever reported worldwide. 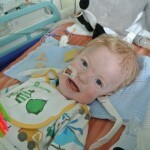 It was discovered at three months of age that Sullivan’s cardiac function was also severely impaired, as together with his general muscle weakness he also had Cardiomyopathy – it is even more rare to have the two conditions combined, with Sullivan being only the fourth recorded case worldwide. This condition affected all his muscle movements making him profoundly weak and also affected his respiratory function, requiring a ventilator to aid his breathing. The everyday things which most people take for granted were impossible or at best extremely difficult for Sullivan. 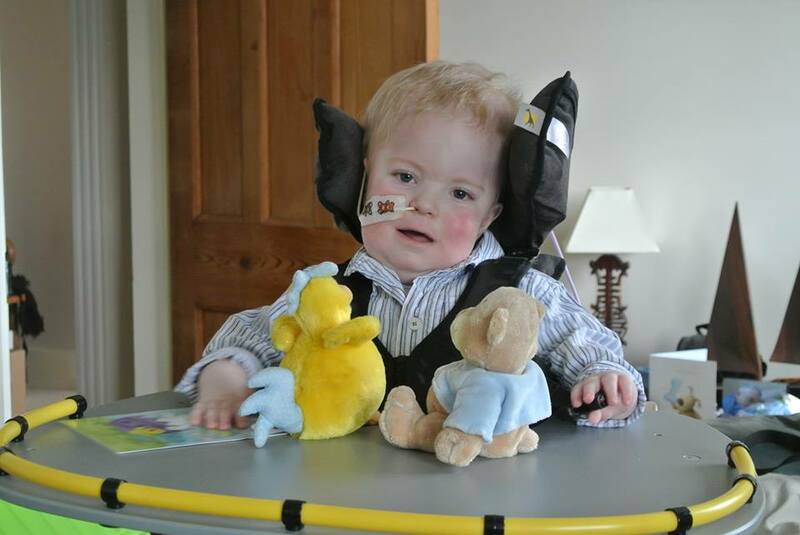 He spent the first nine months in hospital, four of which were in intensive care literally fighting for his life. 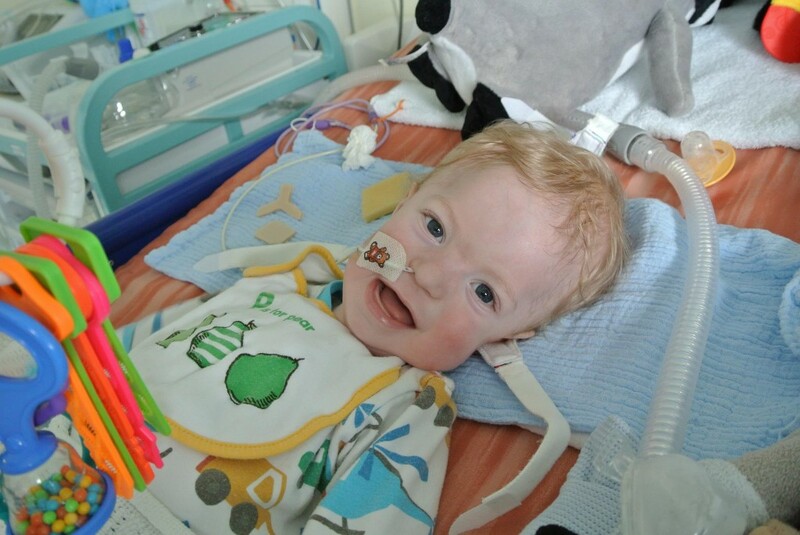 Despite being told Sullivan would not reach his first birthday, he fought his battle and all the daily obstacles it posed to just past his third birthday, when his brave and courageous heart could continue no longer. Sullivan faced very difficult challenges – always with courage, good humour and a cheeky smile. A cheerful little boy with a sunny disposition, he amazed everyone with his daily progress and sheer determination, and his happy demeanour and bravery throughout everything. Sullivan thrived before our eyes. 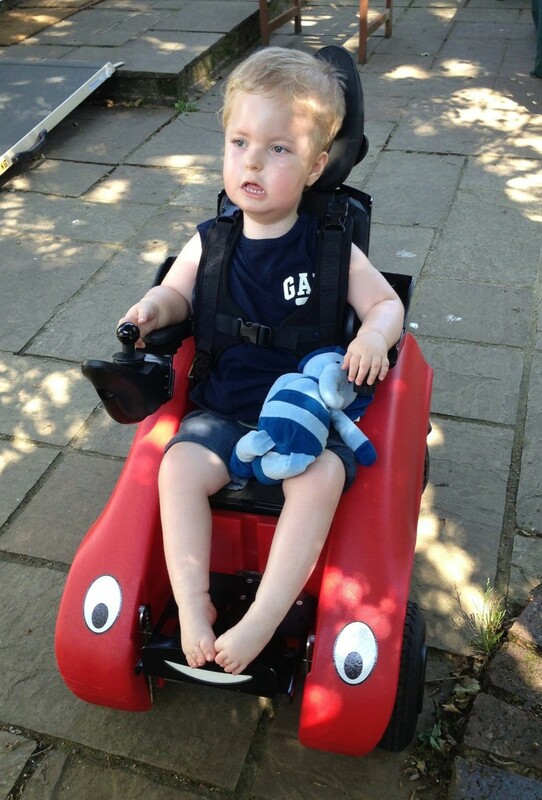 He gained the strength to breathe freely only using his respiratory support when he went to sleep or felt tired or unwell; he learnt to drive his ‘Wizzybug’ powerchair with greater skill than most adults driving on the road today! ; he grew strong enough to hold his own head up and turn from side to side to look at the world around him; he developed a huge vocabulary in first sign language and then speech – just to name a few of his amazing achievements that some initially thought might be impossible. 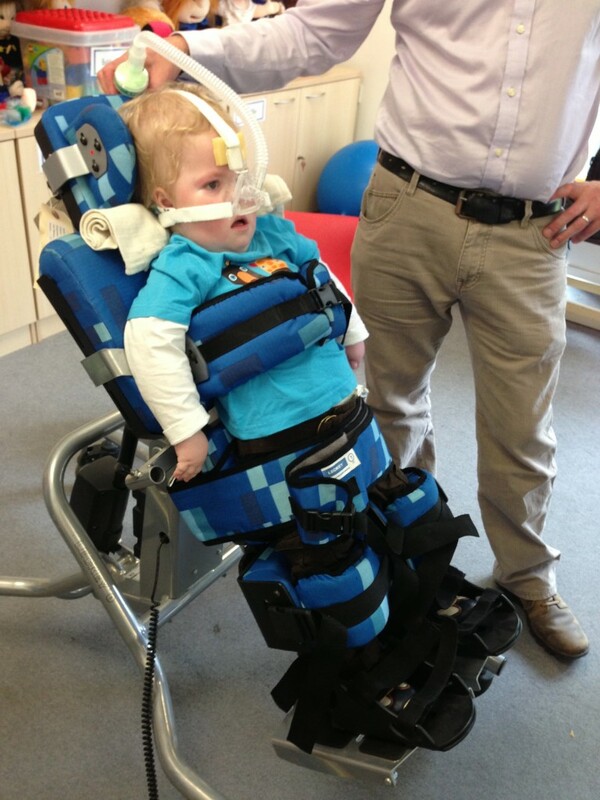 Sullivan went to numerous playgroups where he learnt to overcome some of his physical muscle disabilities and he began to grab, move his arms, start to roll, he started to support his own weight, learning to sit forward and hold his own head up. Every achievement was amazing considering he could not move at all at in the first months of his life. 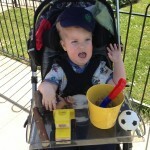 He loved the great outdoors and long walks with Mummy, Daddy and his doggy, many of which were on Ashdown Forest. Fully loaded with oxygen canister and a multitude of medical equipment items we went off road and explored Winnie the Pooh country many times. We cautiously took Sullivan to as many places as possible – Zoo’s, the Brighton Wheel, aquariums, parks, swimming, shops, farms, wildlife parks, steam trains, parties and playgrounds to name just a few. Sullivan even went on holiday, making it to Cornwall to visit his Grandparents – exploring the same beaches as Daddy had done when he was young. Above all Sullivan loved life. He never complained, always had a smile and he had a loving, caring and endearing personality. The light shone out of him. Everyone he met was touched by him. A true inspiration, Sullivan faced his challenges head on and overcame many of them. He taught many people many things, and brought happiness and laughter along the way. 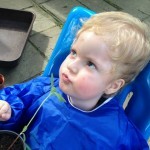 Our dearly loved little man is so terribly missed, but he lives on in our hearts forever. Sullivan’s Heroes was born out of our life with Sullivan. So many amazing people helped Sullivan and us during his journey – from medical and care staff, through to friends, family and the local community. We hope the charity can offer help and support to as many families as possible, in the same way that so many wonderful people helped us throughout Sullivan’s remarkable life, for which we are eternally grateful. Why do children need help? Being a parent, guardian or carer of a disabled child or a child with specific and complex needs can be extremely hard work, but also incredibly rewarding. 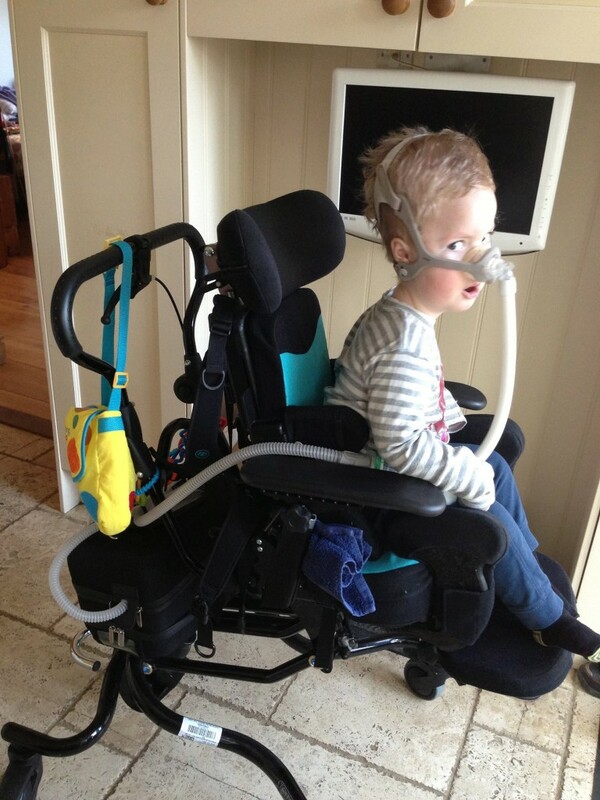 To meet the specific needs of each individual child to live comfortably and safely within their home environment, a number of adaptations are usually required, and these vary according to the complexity of the child’s condition – for example, building external ramps for wheelchair access, widening and levelling doorways throughout the home, installing a through-floor wheelchair accessible lift if feasible or potentially extending the home to provide a downstairs bedroom; adapting a bathroom or creating a new accessible wetroom. The local council can award a Disabled Facilities Grant (DFG) which will provide funding for their ‘Best Value’ scheme that meets the requirements of a disabled child, but understandably, in the interests of spending public monies, cannot provide any assistance above this amount. Neither can they take into consideration the requirements of any siblings in the family unit. Often, the proposed Best Value scheme involves a sibling having to give space for the disabled child’s benefit, thus compromising the sibling’s wellbeing and that of the family unit as a whole. The Best Value scheme also cannot take into consideration the sheer amount of space required for storage of both medical and mobility equipment for the majority of disabled children. For starters there are huge amounts of mobility essentials required – specialist seating, standing frame, hoisting equipment, manual wheelchair, powered wheelchair, medical bed, bath chair, toileting chair … and more. Then there are the medical supplies themselves, delivered in bulk supply to last anything from a month to 3 months – oxygen equipment and tanks, disposable syringes, dressings, ventilator equipment, suction equipment, medicines and so it continues. There are often specialist feeding requirements to consider too – cartons of milk, tube feeding equipment, feeding bottles … the list is seemingly endless, and so are the boxes to be stored. Don’t get me wrong, any parent you ask will be eternally grateful for all this equipment being available … it’s just where to store it without compromising the child’s essential mobility space that becomes an issue. 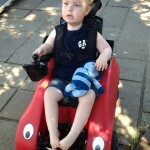 This is the point at which many parents look to a ‘Preferred Scheme’ of home adaptations, to fully meet the requirements of their disabled child alongside that of the family as a whole. The preferred scheme may run into thousands of pounds above that of the DFG awarded, and with only a couple of charities being able to help towards building costs there is little financial assistance to be found to meet these additional costs. 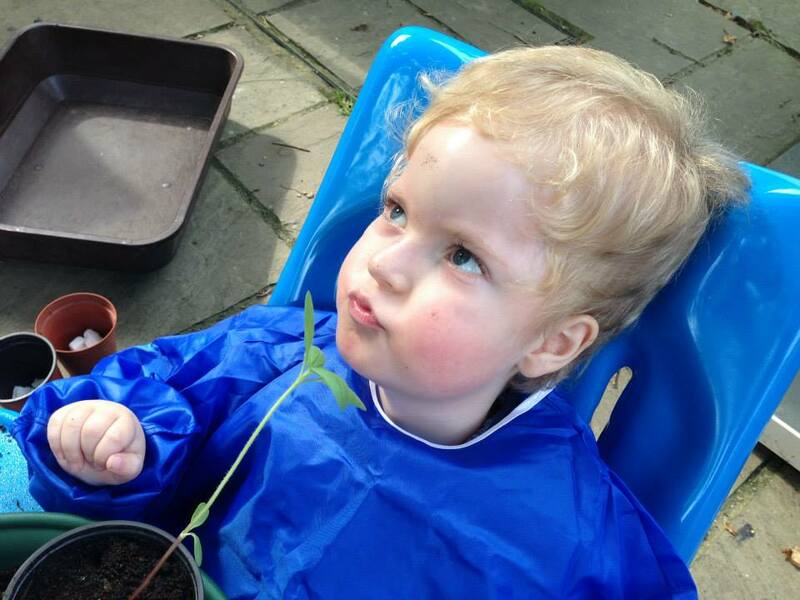 Many children with specific and complex conditions will not be able to live within the home whilst building work is in progress, due to susceptibility to infections and respiratory distress. The family therefore may need to move out of their home during the adaptations process, and find alternative temporary accommodation, often at further great cost. In many instances, a child’s condition can be extremely rare or may remain undiagnosed, resulting in no specific medical charities being able to offer assistance to a child and its family, and leaving them further in the dark as to where to seek financial support. Enable families to promote fundraising activities for their child’s adaptations project by providing a website platform where public donations can be made, plus support to access other avenues to reach their project goals. The family will receive 100% of the original donations, where Gift Aid is applicable – no fees will be deducted. How can your child get help? To apply for support from Sullivan’s Heroes for both setting up a Fundraising page and applying for a Financial Grant, simply download and complete our Application Form which can be found here, then return it to us by email as detailed on the form, together with the information requested. There are numerous ways you can help support Sullivan’s Heroes to raise funds for local families with disabled children in need of assistance. You can donate directly Online, by Text, Bank Transfer or by Post. Maybe your work, school, college or club would like to support us as their Charity of Choice – or have one of our Collection Tins on display? Perhaps you might like to take part in a sponsored challenge you’ve always dreamed of – from adrenaline activities to abstaining alcohol – anything goes! Your employer might even offer Match Funding to boost your amount raised. Or maybe you fancy organising a fundraising event – from raffles to Race Nights, all funds raised will be gratefully received. If you know a specific family we’re helping that you’d like to fundraise for, it couldn’t be easier to set up a JustGiving page of your own and link it to the family’s JustGiving page. The family will know instantly which donations you’ve generously raised towards their fundraising target. Simply follow the instructions at JustGiving. 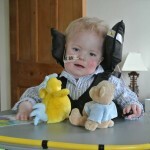 You can even raise funds for us for free via Easyfundraising, each and every time you shop online. Take a look at all these ideas and more. 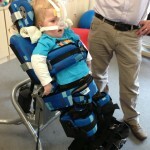 Whatever you choose to do, your support is hugely appreciated by Sullivan’s Heroes and all the families you are helping.